We want to make shopping Vintage Restyled a bit easier this holiday season. 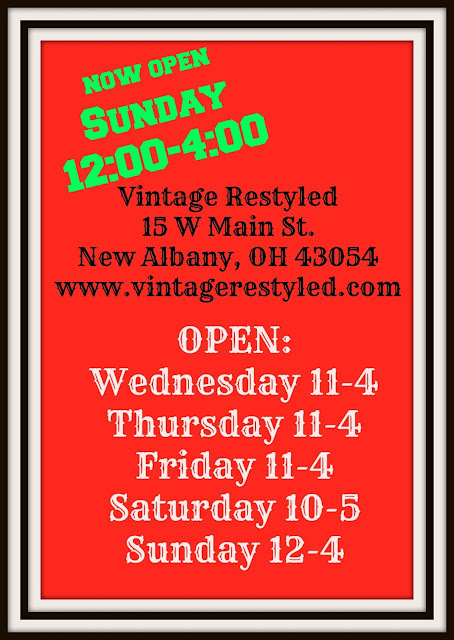 We will now be open on Sunday, 12:00-4:00 through Christmas! We will also be extending hours as we lead up to Christmas and will announce them each week.